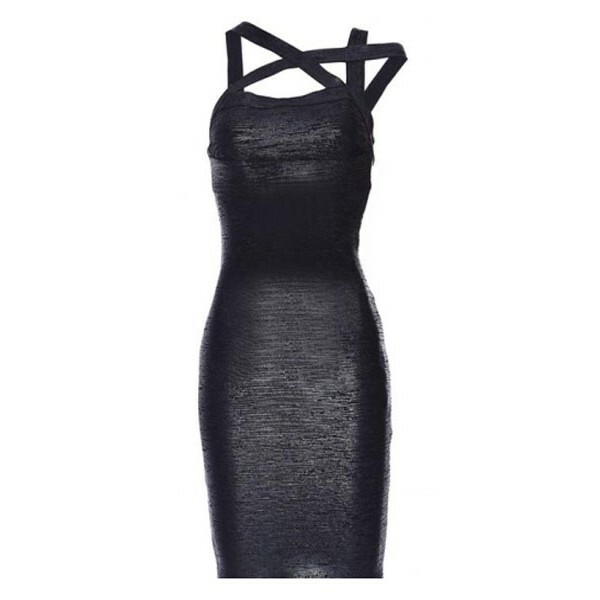 Black bandage dress with crossover straps! A rare snit of sturdy quality bandage fabric, this bandage dress will you sure the topic of the evening. Come through the sturdy fabric bandage the female form the best to their right and you get a beautiful hourglass figure. Complete the look with killer heels and flashy jewelry. Sizes fit normal, choose your own size.